Rostov-na-Donu (Ростов-на-Дону). Map: VI-20. A city (2018 pop 1,130,305) on the Don River and the administrative center of Rostov oblast in the Russian Federation. It is a major industrial and transportation center with a river harbor and an airport. Its history is linked closely with that of Ukraine and a significant portion of its population is Ukrainian (see Don region). The city originated as a settlement around a new fortress built in 1761 and named after Dymytrii Tuptalo (Rostovsky). In 1797 the town became a county center of New Russia gubernia and then of Katerynoslav gubernia (1802–88). 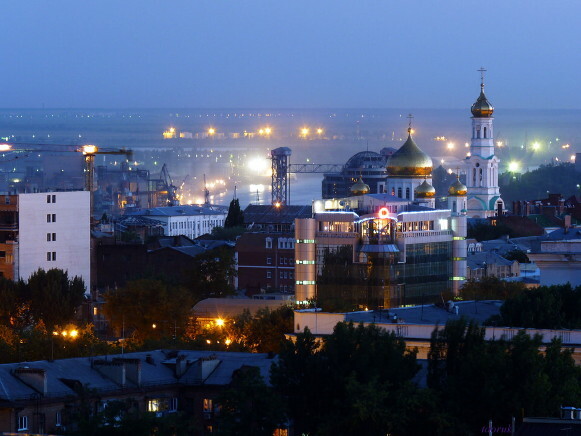 When a separate Don Cossack province was set up in 1888, Rostov-na-Donu was selected as its capital. With the building of a port and customs station in 1834 and of a railway link to Moscow in 1871 and Vladikavkaz in 1875, the town developed into a major commercial center. It exported grain and raw materials and imported tobacco and manufactured goods. By the turn of the 20th century it was, after Odesa, the second-largest city in the southern region of the Russian Empire. Its population grew from 3,000 in 1809 to 17,600 in 1860 and 119,500 in 1897. In 1915 many Russophiles from Galicia were evacuated to Rostov-na-Donu by the Russian authorities. There, until 1920, they had their own institutions, such as the Galician-Russian Committee (headed by Volodymyr Dudykevych), a gymnasium for their children, and, at the university, a student hromada, which had been transferred from Warsaw. 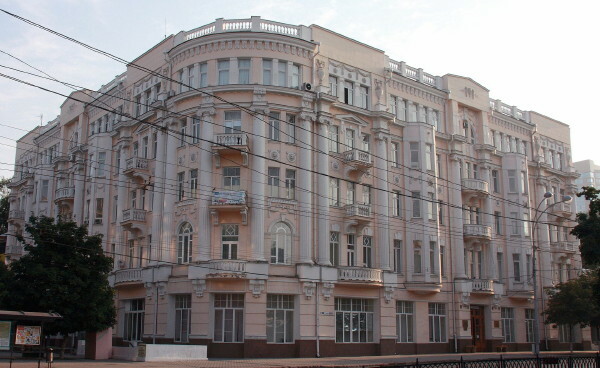 In 1918–20 Rostov-na-Donu was a stronghold of Anton Denikin’s Volunteer Army. According to the Soviet census of 1926, 59,200 Ukrainians there constituted 19.2 percent of the city’s population. From 1924 Rostov-na-Donu was the capital of North Caucasus krai, in 1934–7 of the Azov-Black Sea krai, and finally, of Rostov oblast. Today the city is one of the largest agricultural-machinery manufacturing centers in Russia. It also has a large food-processing industry, light industry, and a chemical industry. Besides three universities it has twenty higher educational institutions. Its architectural monuments are a church from the 1780s and the city hall (1896–9).